SolSuite Solitaire - Play SolSuite with the entire Family or Friends! 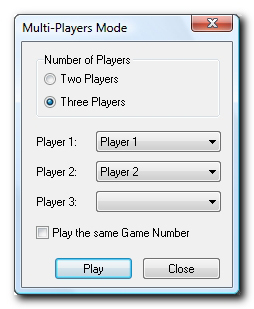 Use this command to start the Multi-Player Mode. During the Multi-Player session are updated the SolSuite’s standard statistics and special statistics for the Multi-Player mode that you can see by using this command.